The New Chilean Cinema was created during the mid-60s and the principal representatives were Raúl Ruiz, Miguel Littín, Helvio Soto and Patricio Guzmán. The chronological period when this new cinema emerged, was characterized by the intense social and political changes that occurred in Chile, and in the whole region of South America. Chilean filmmakers, tried to follow the changes and fill the lack of real films in their cinema. They started shooting films that their main protagonists were real people and their stories were based on the true struggles that they were experiencing. The movement stopped abruptly in 1973 with Pinochet’s dictatorship, and since most the directors were forced to exile. 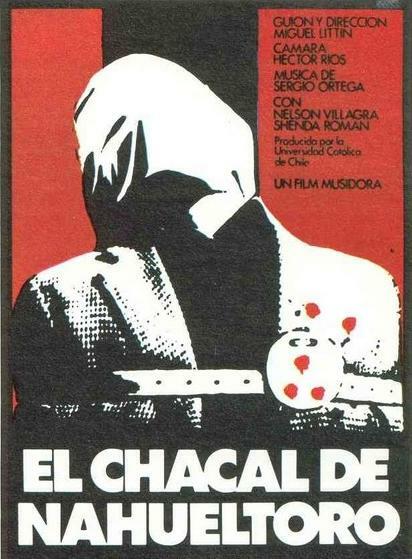 Miguel Littín debuted in 1969 with the film El Chacal de Nahueltoro (Jackal of Nahueltoro) and it is, arguably, one of the best films in the history of Chilean cinema. After the election of Salvador Allende in 1970, Littín was chosen as director of the state company Chile Films, shooting mainly reportages. The film competed at the 20th Berlin Film Festival and won the OCIC prize. El Chacal de Nahueltoro is based on the true story of Jose del Carmen Valenzuela Torres, a killer who was active in the early 60’s in the rural area of Nahueltoro. The film begins shortly after his arrest, and Valenzuela (Nelson Villagra) recounts his life from his childhood. He explains how he ended up poor and illiterate and that his only option was to become a farmer, living by doing errands and occasional work. He became notoriously known throughout the country when he killed, in a violent way, his wife Rosa (Shenda Román) and her five daughters, among them a baby. The film also follows his trial, using the real records, and shows his life during his imprisonment. In prison, Jose learns how to read and write while he becomes a craftsman in building guitars. Apart from the knowledge that he acquired, Jose became devout and he converted to Catholicism. Despite all the efforts to avoid the death penalty in the end he was led to the firing squad. 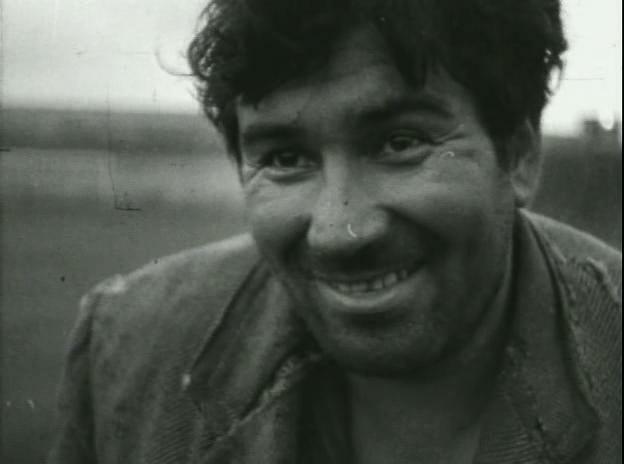 Littín as a director shows clearly his influences by the Italian neorealism, and he tries to create his own Ladri di Biciclette after a 20 year gap. The technique of the film is a combination of two different genres. He follows mainly the aesthetic of a documentary, while the narrative approach is not missing. For the first part, Littín tried to be as close as possible to the events as they happened, for this reason the scenes were shot at the same places where the murders took place. He also used natural sound and his moves seemed more realistic with a hand held camera. Realism becomes quite harsh and convincing during the scenes of the killings, which follow closely Valenzuela’s own descriptions. For the second half of the film, a more conservative direction is followed, but still remains faithful to the realism that Littín wants to depict. The film monitors Jose’s life in prison and his gradual transformation from a tactless and uneducated pariah to a worthy member of society. The director is using reportage and interviews and makes possible to present the whole trial processes and the preparations of the execution. One of the basic beliefs of the new Chilean filmmakers was that cinema should be an important tool in people’s revolutionary consciousness, and Littín strictly supports this idea. Through his screenplay, he is not afraid to make direct criticism to social insensitivity of that era, to the government and the religion. It shows the reasons why a, theoretically well-governed, community leads its members toward marginalization and as a result they don’t have any choices during their lifetime, as did happen to Jose. At the same time the film illustrates society’s hypocrisy which attempts to reintegrate the already marginalized members only when they are no longer necessary. It is indicative that Jose’s punishment lasts just for a period of time that is enough to regret and blame himself alone for his crimes. Nobody is actually trying to find the real causes of the murders and everybody simply accepts the outcome. The judicial system decides to offer him a superficial education just for a necessary period of time that would only serve system’s benefits. He just learns how to read and write, in order to be able to sign by himself his own death certificate. Also the church, which belongs to the same society, must convert him. In this way he will be able to ask for forgiveness before death and he will not be disgraceful towards his executioners. Of course Littín is not objective and certainly his harsh criticism is based on everything that he is also experiencing living in his own country. His society does not want to give equal and real opportunities, but demands from the citizens to follow strictly the rules.